﻿Last years summer camp was such a success! The kids stayed busy all day with fun enrichment activities such as painting, piano, Spanish, sports, obstacle courses, team building and more!! Check out our photos and enroll your children by clicking HERE now!!!! 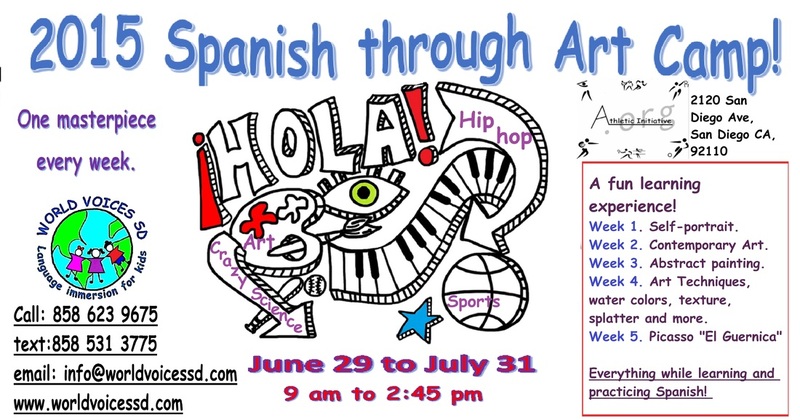 ﻿Registration to our 2015 Spanish through art summer camp IS OPEN! Weekly sessions, lots of fun and learning activities, one artist every week, and the addition of Artesanias one per week (la pinata, los alebrijes, el barro y semillas de colores) The pinata, alebrijes, clay pots, and colorful seeds! 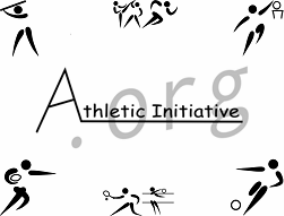 Plus Sports with Athletic initiative, music and much more. THIS SUMMER! click here for prices and camp information. World Voices SD offers a unique approach to get your children into new languages, with a fun adventure learning method that we have created. Why a second Language? It is important for our children to learn a second language and get started on the road of bilingualism. If a child gets exposed to a foreign language before puberty he will be able to learn in a more natural way without translating and without accent. Growing up bilingual is just as natural as growing up monolingual. Children who learn a second or even a third language will have lifelong benefits click the link to read more learning a second language at a young age.